Mobile network operator StarHub, part of the consortium which won a government contract to provide a national NFC TSM service for Singapore last year, has unveiled its NFC SmartWallet and says the service will begin “later this month”. Singapore carrier StarHub has unveiled “SmartWallet”, an NFC mobile wallet that enables customers to make payments and both receive and redeem coupons. 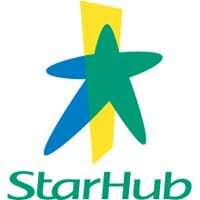 With financial institution DBS Bank, transportation card issuer EZ-Link and NFC technology provider Gemalto, StarHub is one of four members of a consortium of companies that won a contract from Singapore government agency IDA in October 2011. That contract calls for the consortium to deliver an open trusted third party (TTP) infrastructure that will enable any business in Singapore to offer NFC services to local consumers. The StarHub SmartWallet will allow customers to make purchases at more than 20,000 points of sale in Singapore that are equipped to handle contactless payments and will be able to use one of three payment cards that can be stored on their NFC phone – a DBS One.Tap card, NFC EZ-Link purse or an NFC Fevo prepaid MasterCard, also issued by EZ-Link. Customers can also use their SmartWallet app to collect and redeem coupons with a single tap of their NFC phone at DBS and MasterCard partner merchants, including Comfort Taxi, G2000, PastaMania, Watsons Personal Care Stores, Fox Fashion, Pumpkin Patch, Toys R Us, Popeyes Louisiana Kitchen, Quiznos, Cold Stone Creamery and Shaw Theatres. Additional payment functionality is to be introduced later, allowing users to apply for, store and manage cards from various payment schemes, including those offered by DBS, EZ-Link, MasterCard and Visa. “In addition, a whole host of new lifestyle services will soon enable customers to buy and download electronic tickets to movies and events, earn and redeem loyalty points, top up StarHub Mobile prepaid cards, and pay for bus and train trips, among others,” says the carrier. SmartWallet will be launched to consumers commercially “later this month”. To start using the service, customers with an NFC enabled smartphone will need to convert to a StarHub NFC SIM card and subscribe to the free StarHub NFC service. They can then go to Google Play to download the SmartWallet Android app. For customers purchasing an NFC phone for the first time, StarHub will pre-load the SmartWallet app in approved smartphone models sold at StarHub Shops and authorised dealers. Phones set to include SmartWallet include the Sony Xperia Sola, Samsung Galaxy S III and Sony Xperia S.
“This pioneer launch of an all-inclusive platform allows mobile operators, financial institutions and all the other service providers in Singapore to easily plug into and get on board to offer secure NFC services,” says Tan Teck Lee, chief innovation and technology officer and Asia president at Gemalto. “We are excited to make NFC digital wallet a reality with the launch of our SmartWallet smartphone app,” says Chan Kin Hung, StarHub’s head of marketing and products. “We believe that our next-generation SmartWallet will bring simplicity to everyday life, enhancing our customers’ lives at work, at home and at play. “By partnering DBS, EZ-Link and MasterCard, we enable our SmartWallet users to shop, enjoy discounts, skip queues at the cinemas, pay for transport trips, and use their digital credit or debit cards securely with a single tap of an NFC-enabled smartphone,” he added. “DBS regards the mobile platform as an important customer touchpoint,” adds Sim S Lim, country manager for DBS Singapore. “As Singapore’s leading bank with over four million customers and more than one million downloads for our mobile banking apps, we are proud to add NFC to our comprehensive suite of mobile banking solutions.